Alongside bread supply in the North, we also offer a variety of cakes and confectionary which are ideal for stocking in any shop or cafe. With a wide range of choices to satisfy any sweet tooth, we are confident that our products will help to give your business a boost and ensure that your customers keep coming back when they are in the mood a sweet treat. We currently have a brilliant offer on a delicious new sweet product. 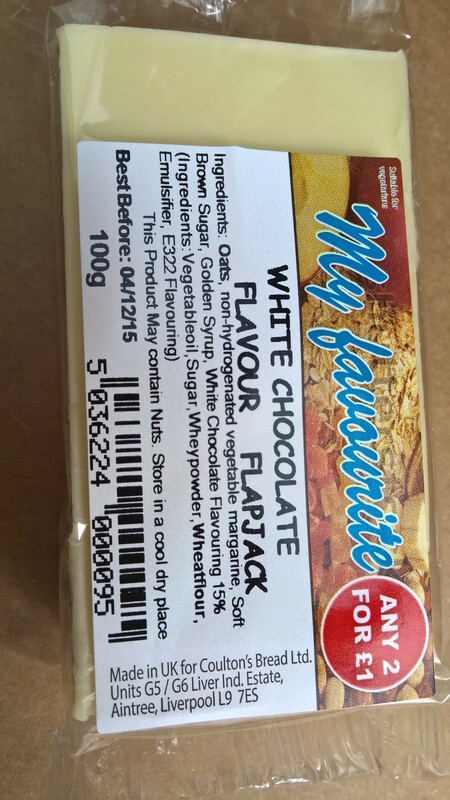 My Favourite flapjacks are exclusive to us, meaning that you won’t be able to get them anywhere else. They’re available in six fantastic flavours including white chocolate and raspberry crumble, and there are 48 flapjacks supplied in each box. They’re perfect for breakfast or as an afternoon snack with a hot drink, and have already proved extremely popular with customers – they’re flying off the shelves of our clients who have already stocked them in their shops. These flapjacks don’t only taste great, they’re also affordable. 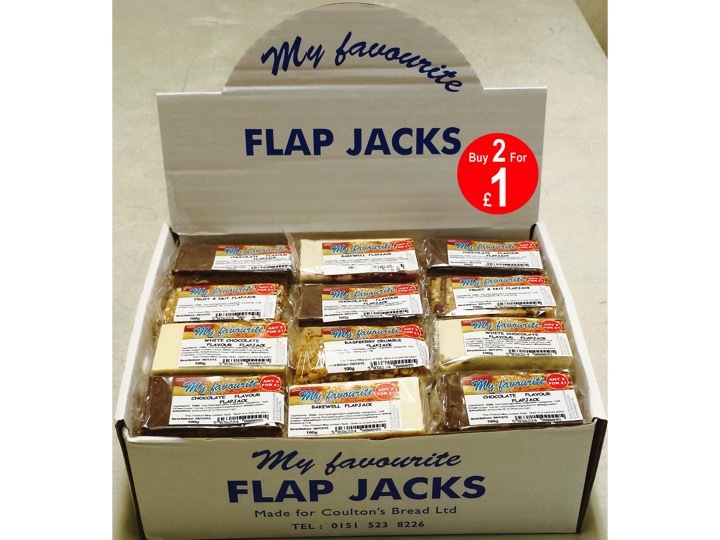 We can supply them to you for just 37.5p per flapjack, or £18 a box, and they can be sold at 65p each or two for £1, providing you with a healthy profit. One of the biggest bonuses of these flapjacks is that they have a long shelf life, meaning you don’t have to worry about your stock becoming outdated before you have the chance to sell it all. With such high demand for these tasty items, it’s likely that you’ll need to restock very soon anyway. If you’d like to stock up on these exclusive high quality flapjacks in your cafe, shop or canteen, or if you’d like to learn more about any of the other products we offer as part of our bakery supply in the North East, get in touch and we’ll be happy to set up an account for you. With great prices and prompt delivery, you can always rest assured your business will be well supplied when you are working with us.